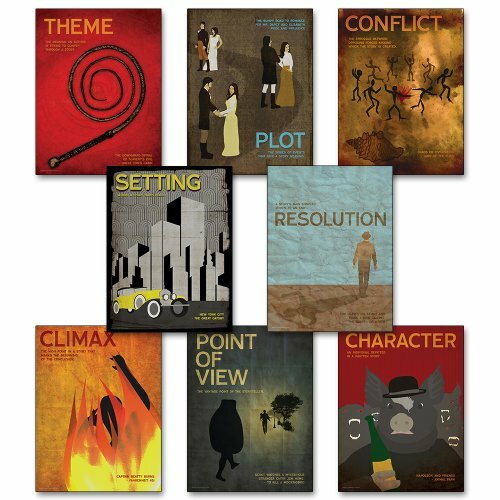 Each mini literary poster measures 11 x 14 inches. Printed on heavy 100 pound cover stock paper. This durable paper won't wrinkle and crease like typical poster paper. Dark and grungy, this set of eight posters illustrates the elements of a novel using illustrations based on some of the most widely read novels in high schools today. Terms include character, climax, conflict, plot, point of view, resolution, setting and theme.